Bring cottage charm to your feeding stations while extending hospitality to visiting hummingbirds. The Red Antique Bottle Hummingbird Feeder adds a nostalgic element to the cherished pastime of attracting and feeding hummingbirds. Antique glass bottle feeder features a raised-relief of a hummingbird in flight, sure to delight any hummingbird enthusiast. 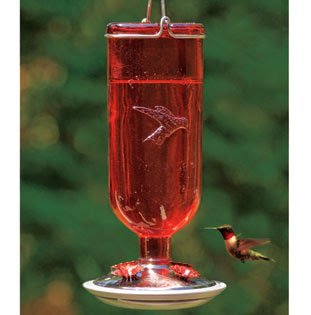 Eye-catching red glass feeder welcomes hummingbirds to a delicious meal of fresh nectar. Top side of base boasts handsome, brushed copper construction with a rubbed bronze finish to add sophistication and timeless quality. Underside of base is made from heavy-duty plastic. Base unscrews easily for filling and cleaning. Four metal feeding ports with ornate floral embellishments add a decorative touch. The Red Antique Bottle Hummingbird Feeder holds 16 ounces nectar and includes metal hanging hardware. Feeder measures 5-1/2" x 10-1/2" high. Hand wash.
Change the nectar once a week whether the feeder has been emptied or not. Nectar can spoil in as little as two to five days. When left in the feeder longer, it can ferment and cause birds to stop feeding. Clean using hot water and a bottle brush (#818426) to keep it fresh and clean. Fill your feeder with a simple mixture of four parts water and one part white sugar. 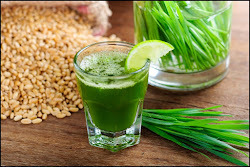 Boil to completely dissolve sugar. 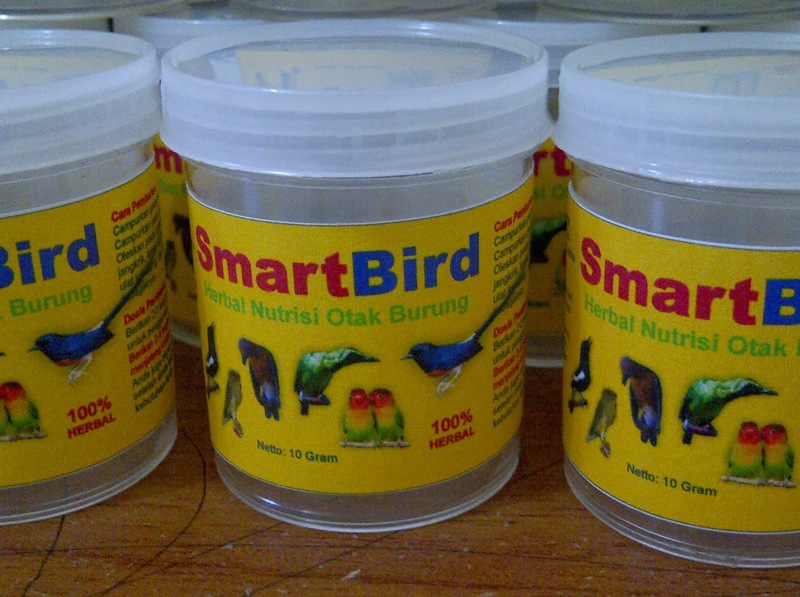 Do not use colored nectar, as the dye can be harmful to hummingbirds. Place your feeder near your windows for easy viewing. Shrubs and trees should be nearby for cover. Provide a birdbath or other source of water.